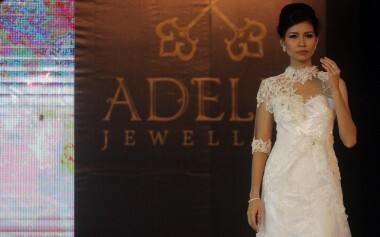 Wardah officially launched “Wardah Fashion Journey” as its commitment to support the Indonesian fashion industry (23/3). Elsa Maharani from Wardah said that the original idea of Wardah Fashion Journey was to make a campaign that would be a journey where Wardah always follows the fashion process. From the process of looking for inspiration to the moment when the collection is ready to be displayed in the runway. The initial step of this program started from four brilliant fashion designers: Zaskia Sungkar, Dian Pelangi, Barli Asmara, and Ria Miranda. Zaskia Sungkar went on a trip to New York and South Korea where she looked for inspiration from the iconic landmarks in the two places. Meanwhile, Barli Asmara and Dian Pelangi just recently got back from Melbourne. During their time there, they visited fashion and design schools as well as attended Virgin Australia Melbourne Fashion Festival 2017. They also got to meet important and inspirational women like the world’s first hijabi ballerina Stephanie Kurlow and women empowerment activist Susan Carland. As a result of their journey in Melbourne, Barli Asmara and Dian Pelangi even plan to launch a joint collection on modest menswear. The collection is inspired by graffiti they found along a street in Melbourne. This collaboration will be released under the label of DP x BA in May 2017. During all these inspirational journeys, Wardah was never absent to give its support. “Many people out there would like to know how we get the inspiration, and so Wardah Fashion Journey becomes the platform for us to share our experiences behind the designs. Therefore, the audiences can be brought closer to our journey,” said Zaskia Sungkar. To reach a wider audience, Wardah Fashion Journey also launched its Instagram account @wardahfashionjourney. This account will be the platform for Wardah and fashion designers to share their inspiration with people, especially for fashion enthusiasts. *More details about Ria Miranda’s fashion show at the Fashion Kode 2017 can be found here on Modest.id! #MyTrueMatch Liquid Foundation L’Oreal Paris: Pancarkan Pesona Warna Kulit Aslimu!